We provide inpatient services to adults of working age across Oxfordshire and Buckinghamshire. For some patients this may be a brief stay for intensive treatment and support, others who suffer from severe and enduring mental illness may require more frequent admissions. 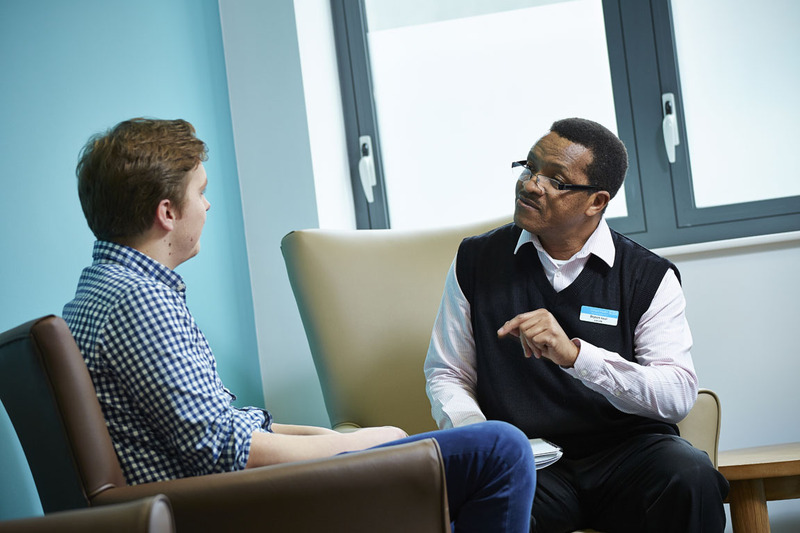 These services form part of the patient pathway and work in conjunction with our community mental health teams, crisis resolution and home treatment teams, as well as assertive outreach and early intervention services. The wards offer a multi-disciplinary approach to the provision of patient care. The interventions include talkingtherapies, medical input, socialisation and social skills training as well as assessment of needs and medication. During an inpatient admission support and advice is also available to carers and relatives. The team will liaise with the voluntary sector, and social and community services as well as primary care as appropriate. The high standard of our inpatient wards has been recognised through AIMS accreditation. You can view our video above that explains what this means. Our acute admission wards provide care for adults in acute mental distress who are unable to be cared for at home. However, our wards work closely with our community mental health teams in order to promote discharge as quick as possible. These provide a range of treatments and therapeutic interventions for adults with enduring mental illness who require rehabilitation. A variety of skilled therapeutic rehabilitation and leisure activities take place, the focus being on activities of daily living, skills acquisition and maintenance. We work collaboratively with service users to promote social inclusion and optimum independence. Our PICUs provide assessment and active, intensive and comprehensive multi-disciplinary treatment for individuals whose behaviour demands a level of observation and care beyond that which can be provided on an open acute admission ward.